Poker gained its popularity decades ago and it’s still enjoyed by a lot of people worldwide. If you consider the history of poker, it wouldn’t be long before you realize the different ways in which the game came into existence. You wouldn’t find any specific dates relating to the creation of poker but there are different accounts and claims to its evolution. Despite this being the case, it has grown to be one of the best games in the world. The Chinese presents a more logical explanation of all. They believe that the games evolved in the 900 AD. At this time, domino was a popular game among the Chinese community. It is claimed that the emperor MuTsung showed his wife the cards, and this gave birth to the game. A renowned Persian game called as Nas in the 17th century is believed to be the birth of poker. The game consisted of a deck of 25 cards. The game consisted of different hand rankings and betting rounds. It is sort of similar to what is played in casinos today. A French game poque that has sort of a similar name to poker is thought to be one of the early stages of poker game in France. The game consisted of bluffing and betting in the same manner played today. It is also believed to have used a deck comprising of cards with diamonds, hearts, spades and clubs. The game is also thought to have been played somewhere in the 15th century. The Englishmen had three famous betting games braq; faro and primero.They are one of the early games to utilize the casino style gaming where players would bet against the bank. The game featured a lot of similarities to what is being played today. Germany prochspiel is a famous game that shares similarities with poker. Poker started playing in live tournaments from the early 17th century when the French colonials visited Canada. They brought in their famous poque card game. The game started gaining its popularity in the 18th century in areas like New Orleans around 1829.At this time; the game utilized a deck of 20 cards. Gradually, the game spread across the United States. Poque was a common game during the civil war and this led to the emergence of game types with draws and studs. There is also an account of the game originating somewhere around 1834.The account points out that a famous gambler Called Jonathan green was behind the games name. Personal writings collected shows that are different version of the game and that it was constantly evolving. A five card draw was the first poker game to emerge. It was common during the American civil war and dominated the poker gaming industry for over a decade. It wasn’t until the emergence of a 7 card stud that everything changed. This was common during the world war two and became a preferred choice for almost 40 years. When playing poker, one must follow some poker rules. First, you will be introduced to a dealer button (button) which rotates clockwise among the poker players. The key function of the button is to establish the order of betting and determine the players that post either small or big blinds. Players to the left of the dealer button are expected to post blinds, with the immediate left player posting small blinds. In Texas hold em for instance, cards are dealt clockwise to each player at a given point in time until every player has two cards at hand. These cards are referred to as hole cards. Once the players have their cards at hand, the initial betting can begin. Texas hold em and Omaha culminates to a family of cards refereed to as community of cards, and have one thing in common. They do have shared cards that comprise part of the hand. Most of us remember a time when poker meant a draw of five cards. But the game has gradually grown over the years with many online poker sites offering common poker variants ranging from simple to complex. Before the emergence of poker in the early 21st century, the seven card stud was commonly played. In a seven card stud each hand begins by dealing two cards, one facing up and the other facing down. Players have a round of betting once the cards are dealt, with both the 4th, 5th and 6th card dealt facing up with the 7th facing down. Just like Texas holdem, the aim is to garner the best possible five hand. This is one of the easiest versions of poker, and is placed for fun as opposed to a competitive environment. Players begin by dealing five cards facing down and are required to draw the cards, placing more than one card at the bottom and substituting with a replica from the top. There is a betting round after and before the draw and the best five card hand wins the shutdown. This is also referred to as the deuce to seven. It’s a game where players are dealt with five cards and are supposed to draw the cards as they would have in a five card draw. Aces are considered high in the poker variation with the best possible hand being7-5-4-3-2 which is referred to as number One since it cannot be beaten. Different rules apply to each program, but being a VIP poker player has tons of perks! 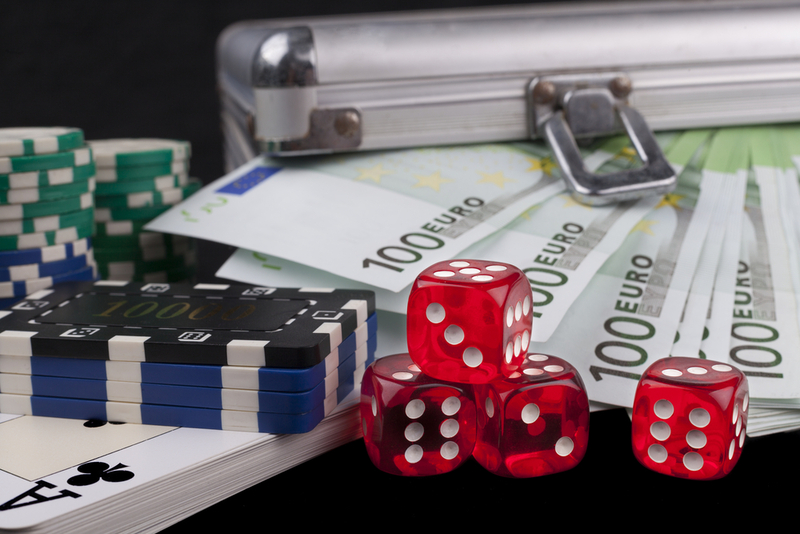 What are the most important rules for managing your Poker bankroll?